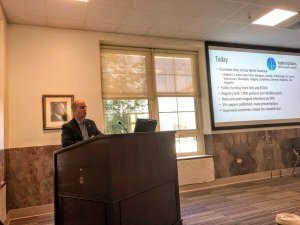 Cerebral Palsy Research Network (CPRN) Chairman and Founder, Paul Gross, kicked off the inaugural CP Grand Rounds on November 1, 2018 at Nemours/Alfred I. duPont Hospital in Wilmington, Delaware. Gross was invited by M. Wade Shrader, M.D. newly appointed Chief of the Division of Cerebral Palsy and the Freeman Miller Endowed Chair of CP, who is expanding the CP program at A.I. duPont. Gross shared the steps that led to the creation of CPRN and his vision how it would change care and outcomes in cerebral palsy. His grand rounds presentation was followed by discussions about the hospital’s efforts to contribute to CPRN and expand the evidence base for cerebral palsy treatments. “All of us at duPont are extremely proud to be a part of the CPRN Community. 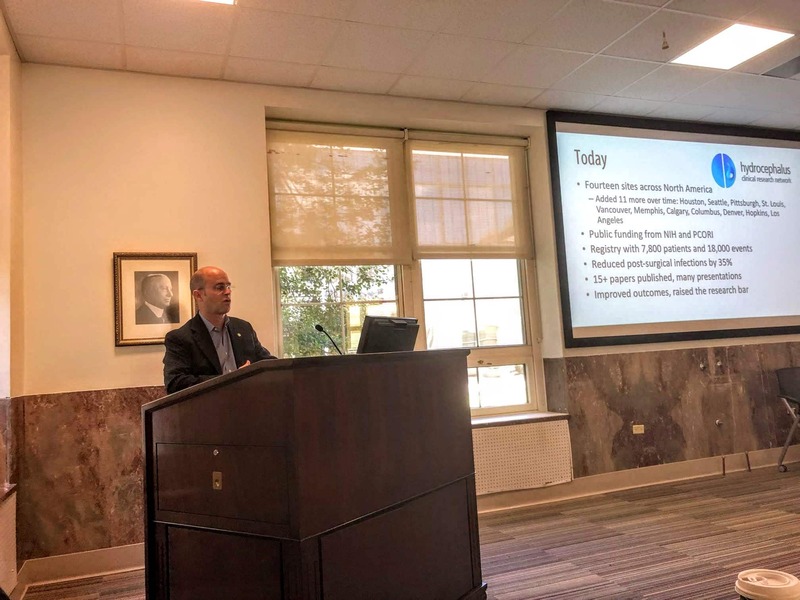 It was a great honor to have Paul Gross here to kick off our new CP Grand Rounds, and we were excited to have him here, visiting with all the clinicians and researchers to brainstorm about research opportunities to improve the lives of our patients and their families,” explained Dr. Shrader. Gross also spoke at the annual A.I. duPont CP Community event on Saturday, November 3, 2019 which was attended by 80 individuals and families who have been treated for CP at the hospital. He shared his experience as a parent advocate for research for his 13-year-old son. The annual event features speakers, breakout sessions and a vendor fair for families of children with CP and provides a tremendous opportunity for community members to engage with clinicians and therapists without the time pressures of clinic or other hospital engagements.